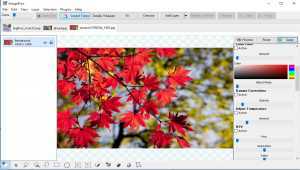 PhotoWorks is a powerful and easy to use photo editor. 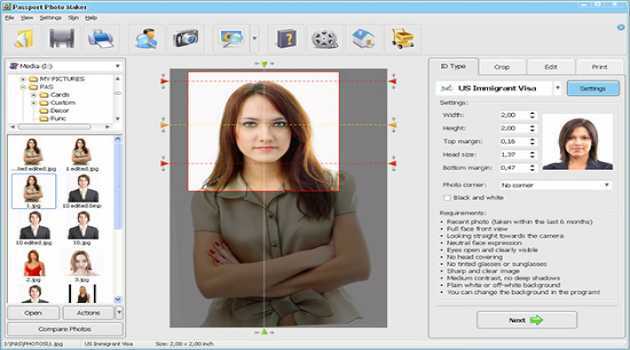 Its intelligent tools let you fix photo defects and improve image quality. 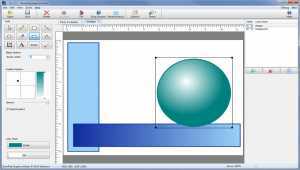 Correct exposure and perspective errors, erase unwanted objects, change background, boost colors, apply cool effects. 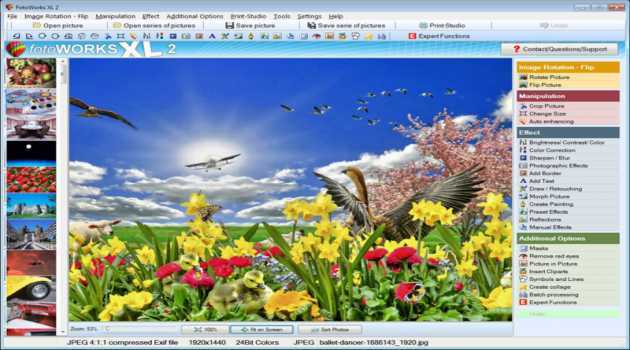 PhotoPad Pro image editing software is a photo editor for Windows. It allows you to edit and apply effects to photos and other images. The core goal of Memory Pictures is to allow to keep your memories alive by assisting you in embedding the location and journal entries within the photo header. S_Merge is a versatile tool for batch merging, perspective / affine transforms, visual effects, collage or montage images, watermarking images and more. 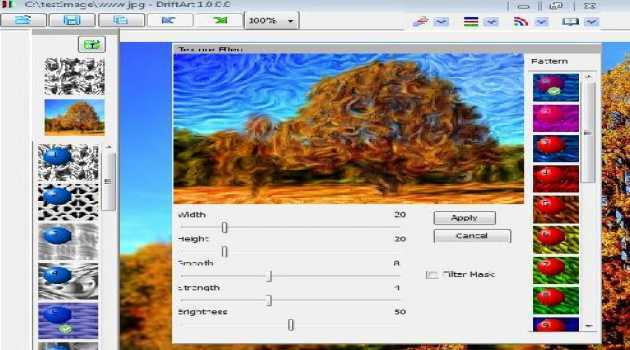 Drift Art is an unique image processing software. It provides functions for users to quickly generate artistic effect on an input image. 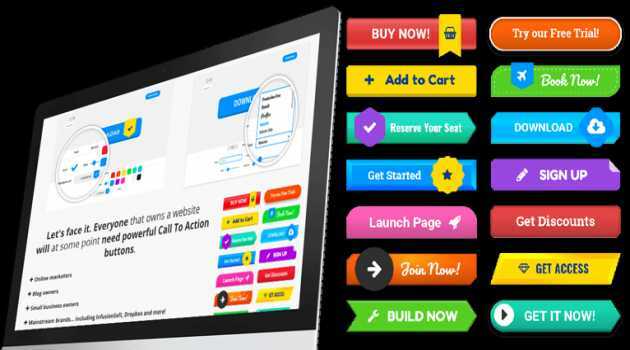 It comes with a very simple and intuitive interface. 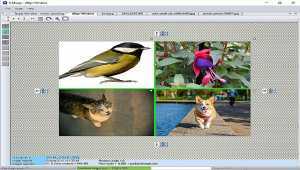 Easy Photo Editing Software. Edit pictures easily and quickly with a host of Photo Effects. The high-quality Photo Editor Fotoworks XL will help you edit your photos and other images by offering a huge variety of useful functions and effects. 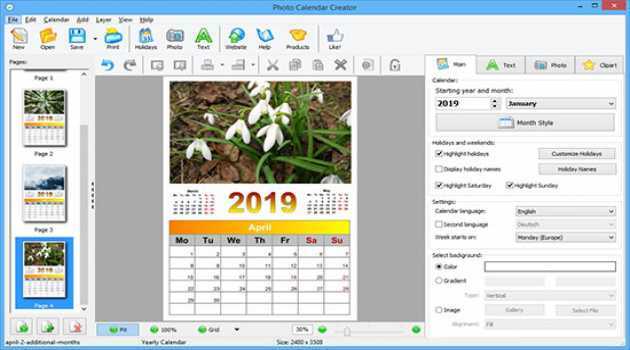 Photo Calendar Creator lets everyone make stylish photo calendars for home or office. Create wall, desk, pocket, spiral-bound, booklet calendars, weekly or monthly planners. Choose from 200+ design templates, add your photos and customize holidays.